Posted by Brittany Bosher on Tuesday, May 30th, 2017 at 12:59pm. At Cinepolis your theater experience will be changed forever. The oversized, leather recliners lay completely flat for the ultimate in comfort. There are small reading lights at each seat so you can see the full menu of delicious dinners, gourmet snacks and sweets and even a full cocktail list. A waiter will attend your seat throughout the movie when you press the service button on your chair. 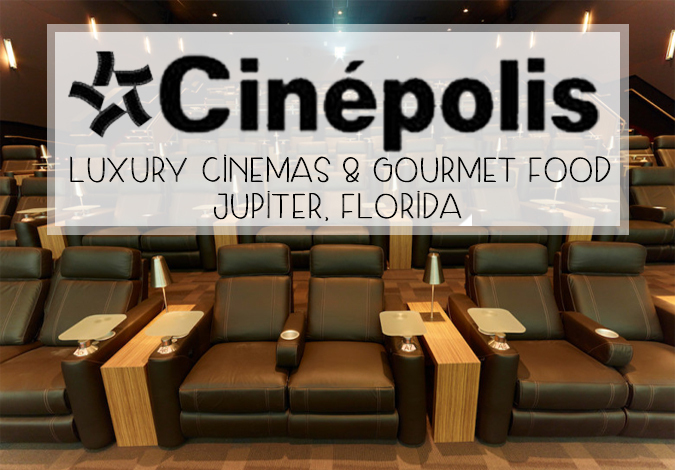 Imagine reclining with your friends and family, watching the best of Hollywood’s blockbusters all while being served epicurean dishes and drinks. What’s more is, Cinepolis is just across the street from Harbourside Place. So you can walk or drive across the street before or after your movie to enjoy the array of restaurants and shops in this waterfront city center.